They always say it’s the first step that’s the hardest. However, it’s important to realise that indoor gardening is not at all as complicated as it seems. In fact, it’s remarkably easy to start and maintain a successful indoor garden: and a greenhouse is not necessary! Figure out how much space you want to use. The first step in planning your indoor garden is deciding how much space to allocate to it. Alternatively if you have a certain plant or crop in mind, find out how much space is required. For a general garden, you can use as much or as little space as possible - there is no minimum size, and certainly no maximum size! You can grow indoor plants from a space as small as a windowsill to as large as your whole garage! You can begin your indoor garden easily by a window, or on a bench, a table, or in a segregated area of your house or apartment. It’s worth keeping in mind that there are different styles of indoor gardening as well. Decide what you want to grow. Pick your plants and read up online, or on the packaging, on the requirements of each plant. Different plants might be better suited to different light schedules, nutrients, or pot sizes. You can grow from seeds or buy your plant in a pot. Many potted plants are plant clones, which are a cutting from a mature mother plant, so they are already partially developed. There can be many benefits to using clones, including a good genetical lineage with more or less predictable growth, but growing from young clones requires a higher level of indoor gardening expertise. A beginner would be well-advised to stick to seeds or established potted plants for their first few plants. The traditional indoor gardener will use soil. Nevertheless there are many other ways to cultivate your plants: hydroponics (growing plants in water) or aquaponics (a form of cultivation that combines hydroponics with aquaculture). Your optimum indoor gardening style is dependent on what you want to grow, how much you’re trying to produce, and what you’re willing to spend, as such your gardening style may change. 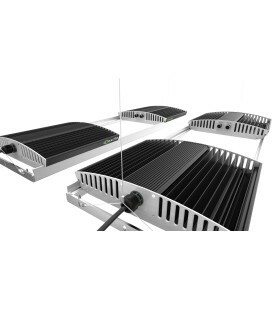 Good quality grow lights are essential for successful photosynthesis and growth of your plants. In fact, grow lights when growing indoors, are probably the most important factor when it comes to indoor growing as in temperate climates the light intensity is often low indoors, halving just two meters away from a window. Plants use light as a power source and to adjust their grow patterns — they need light to photosynthesize and adapt to the season and local environment. Without adequate light, a plant will not grow to its full potential, and it certainly would not bear flowers or fruit. When it comes to grow lights, you need to ensure that they are of a high quality and are they right type, otherwise they will work only poorly. If you’re serious about indoor gardening, be prepared to invest when it comes to lights as your favourite plant can flower or fruit so much more when it has an all you can eat buffet of light to feast on. 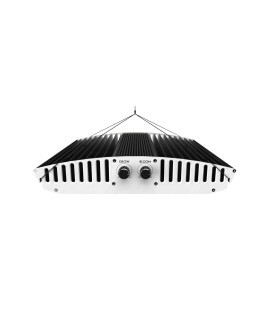 That said, regarding grow light, currently there are different options available to you: LED, HPS, metal halide, fluorescent or plasma. There are a few things to keep in mind when purchasing grow lights. First, because your plants are being grown indoors, they lack the usual key ingredient to their success: the sun. Your grow lights must provide a broad range of wavelengths to ensure strong and healthy growth. Because plants have photoreceptors that absorb specific wavelengths of light, a regular light bulb just won’t do the trick (your grow light should have the same wavelengths as the sun, or how the plant is used to receiving them in nature). Figure out your indoor plant’s ideal temperature and humidity. Though each plant may prefer its own temperature schedule, most indoor plants grow well in temperatures between 18 - 25ᵒC. Humidity is affected by temperature, as warmer air holds more water. If it is too cold / too warm the photosynthesis rate will slow down. A plant will also have a humidity range required, often between 50% & 95%, with 70% being normal room humidity. You can raise your humidity by using humidifiers or growing many plants together, or by using local trays of water or damp cloth. Maintaining optimal temperature and humidity in each stage of growth is a vital consideration to help your plants grow faster, and often if they temperature is too low or high; your plant will die or stop growing. Plants grow best in distilled or rain water, as the minerals and chemicals in tap water often stunt plant growth as they build up in the growing medium over time and impact the pH and EC concentrations. Consider watering with a mix of reverse osmosis water and rain water. Failing that, keep a cheap bottle of distilled water handy to keep your plants even healthier. If you are ready to take the next step in indoor gardening, you should read the last part of this article here.